Active appraiser license, preferably certified, a computer, appraisal software, MLS, E&O insurance, dependable vehicle, camera, smart phone, a background check (by us) because the one your state requires every year is just not good enough and good communication skills (see smart phone requirement). You will be responsible to perform valuations subject to 30 pages of requirements set forth in the engagement letter. We will require availability always to answer our redundant calls and emails. Special note: if you live in ND and have a license in GA, TX, and NJ you qualify for our special desktop hybrids and never have to visit a property site again. Using your smartphone, assignments will be broadcast at fees WE determine acceptable for the area. The fee is non-negotiable as we have included our special fee in addition to your fee and cannot go back to the lender/client for more money. All jobs will be bid out to our panel of appraisers and those who accept the assignment first will get the order (so make sure you are quick and have that smart phone or tablet with you at all times to accept the orders). On occasion, we will ask for a fee and turn time to build an AMC C&R survey. Jobs are assigned to the lowest fee and fastest turn time submitted to us. You don’t have to be located near the subject property but reports are required within 48 hours. Nearby proximity to a subject property and expertise are not important factors. Upon completion, please be available at all times to answer superfluous stipulations to meet UAD or address all value reconsiderations or sales sent to us by the lender, realtor or any party that believes your opinion of value is not high enough. DO NOT INCLUDE INVOICE WITH APPRAISAL REPORTS. We do not accept invoices this way by our team members. Upon completion, we will send you your payment in 30-days or more, depending on your state AMC regulations and rules. Our mission is to maintain infinite client satisfaction. If you feel that you can meet the job description, send your resume, three sample appraisals, your driver’s license, bank account info, credit check and health history. sounds like the tail wagging the dog to me lol. Appraisers are expected to be available 24 hours a day 7 days a week. There are no days off and reports can and will be expected to be delivered on the due dates which may fall on a holiday. For example, if the report is indicated to be due on December 25th and is not delivered on that date you will be dinged for a late appraisal report delivery. This is tracked on our grading system for appraisers. If you want to take a vacation you will be expected to take a computer with you to reply to any and all revisions requested from the lender. Revision requests are always expected to be returned within 24 hours and possibly within 4 business hours if it is a rush from the lender. If you will not be able to have a computer with you it is expected that you will have someone in your office to reply to the revision request. technology fee – this fee is to cover the costs of the automated review process we use to proof read the report for the keywords on our checklist before we send to the lender. 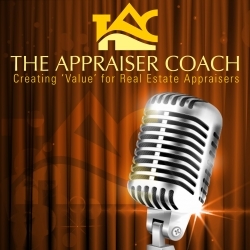 Yes, we take a large percentage of the fee for the appraisal and we make you pay our costs of doing the work that we “provide” in the process of the appraisal report.